Ever wondered what to do in South Africa’s Mother City? We have rounded up ten of Cape Town’s best kept secrets. 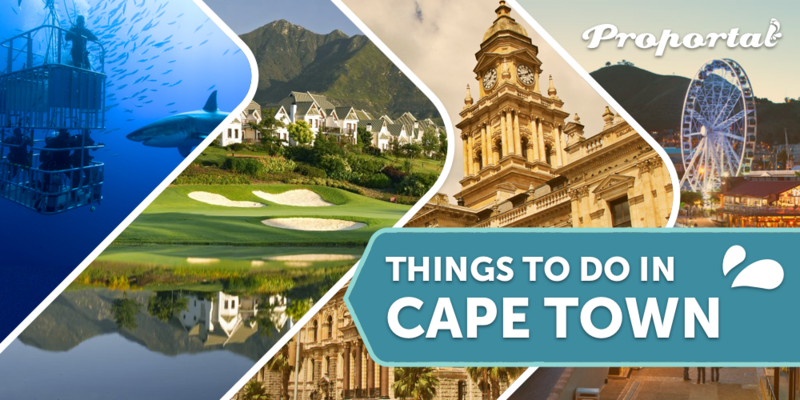 This post explores ten things to do in Cape Town as well as look into Cape Town’s most popular attractions and its natural beauty. There is an abundance of things to do in Cape Town with its diverse variety of fauna and flora as well as its urban areas. We handpicked some of Cape Town’s best tourist attractions that you simply must visit. The Cape of Good Hope is a definite must if you are looking for beautiful and isolated white beaches. Explore the magnificent wildlife, shipwrecks and stunning views. And if you want to see cute little penguins waddle along the beach, make sure you stop by at Boulders beach in Simon’s Town. The V&A Waterfront sure has everything your heart desires. This is the perfect spot to shop, sip on some wine or dig in to delectable sushi. from history, culture, entertainment to first class restaurants not to mention the scenery. There are also plenty of harbour cruises as well as the V&A Food Market that boasts with an array of street food, live music and craft beer. If you want to go explore deep waters, then Cape Town is the perfect place with its wealth of sea life and famous white sharks and whales. So put your brave face on and book your once in a lifetime shark cage diving experience. This magnificent must-visit mountain, offers a range of activities for all. Choose from a number of hiking trails or take the family up the cable cars for some Cape Town sightseeing and spectacular views. The less faint-hearted can even abseil back down! Go on the ultimate holiday road trip along the Garden Route that spans from Cape Town to Port Elizabeth. There are plenty of expert guided tours to choose from and you’ll experience the most diverse scenery and attractions. No Cape Town trip is complete without some intense wine tasting. The Cape Winelands has a magnificent backdrop for scenic drives or lovely walks as well as wine (of course). There are over 600 vineyards to choose from so you definitely won’t run out of wine. Enjoy delicious wine tastings, lifestyle tours or even themed private tours. Cape Town City Sightseeing tours are the easiest and most fun way to see all the Cape Town attraction sand sights. The double-decker red bus has many tours to choose from including the Red City Tour, Blue Mini Peninsula Tour, Yellow Downtown Tour and the Purple Wine Tour. Imagine seeing all of Cape Town’s picturesque scenes from a helicopter flight! Choose from many different exciting flights plus they don’t stop there … if you’re looking for something really special you can fly with the helicopter into the Winelands for lunch or to the Garden Route to play a round of golf, amazing right? If you’re an adventure seeker and love the frill of high speeds, then Cool Runnings is a must. Cool-Runnings is Africa’s only toboggan track and works with a sled that can fit one or two people. Once you’re seated, you’re drawn up a steep slope to the top of the hill and then off you go whizzing down the curving stainless-steel track at whatever speed suits you. End your trip off with a cultural tour of Robben Island. Daily tours to the island include the ferry trip there and back, an island tour and a tour of the prison with a former political prisoner as your guide. 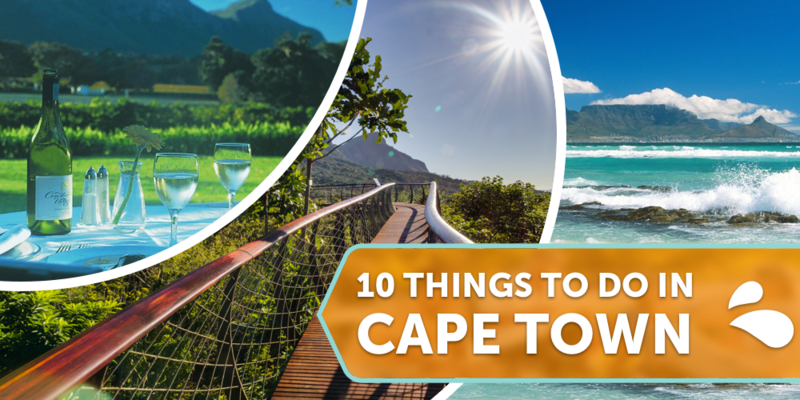 Book your Cape Town stay with us and start ticking off our top ten list.